Experiencing the real essence of Capurgana starts with familiarizing yourself with some basic details. Ready to find out exactly where this unique place is and which attractions you should explore? Situated in Costa Caribe, Capurgana is close to a few interesting areas like Armila, which is 7 miles (11 kilometers) away. 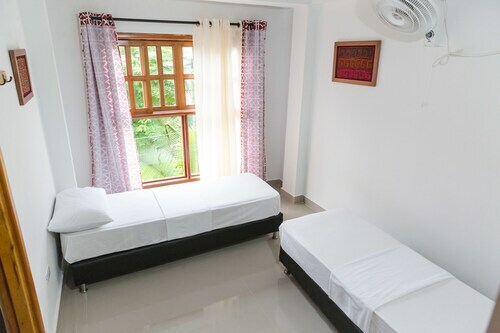 Get the best bargain on your getaway to Capurgana by bundling your airfare and accommodation bookings. You can also choose from more than 400 airline partners and 665,000 places to stay. Would you like a stress-free vacation experience? Our Customer 1st Guarantee means that you'll have 24/7 personal assistance on all services. Have you come across a better deal somewhere else? We'll meet the price and refund the difference^. You've got the flexibility to cancel your package bookings with no extra fees from us. You know what that means? Less stress for you! And as long as you get in fast, most accommodations won't charge you either^. You'll have to book in advance if you'd like to stay as close as you can to Capurgana. 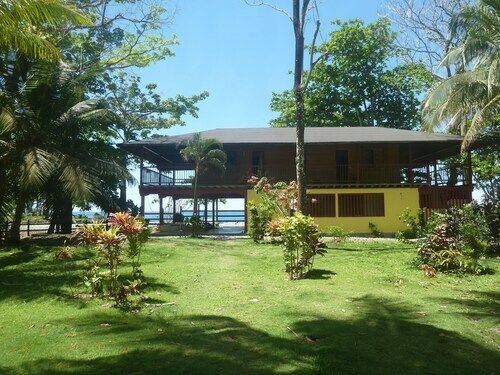 The Tacarcuna Lodge is the only property within a short drive of the center. Where do you fly into for Capurgana? There's nothing quite like touching down in a totally new destination. If you're traveling to Capurgana, chances are you'll disembark at Apartado Airport (APO). It's roughly 75 miles (121 kilometers) to the southeast of the main streets. Collect your bags and get set to start exploring! Can I rent a car in Capurgana? Forget about waiting for the bus. Check out the car rental options via Travelocity and get the most out of your time in Capurgana. Sometimes peaceful, sometimes powerful — there are few spectacles as inspiring as a waterfall. Secure yourself a good vantage point and watch El Cielo Waterfall surge, swirl and plunge over the edge of the cliff. Still need some more ideas? If you'd love some spiritual enlightenment on your vacation, drop by Capurgana Church. You never know, you may even find the answers to one or two of life's greatest questions! 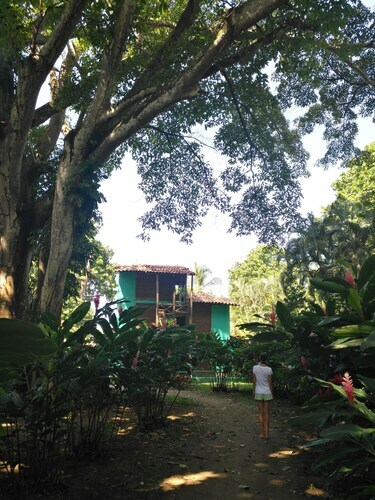 Situated in Acandi, this hostel is close to Capurgana Church and El Cielo Waterfall. Area attractions also include Isla Terron de Azucar. Situated near the airport, in the city center, this lodge is close to Capurgana Church and El Cielo Waterfall. Area attractions also include Isla Terron de Azucar. Situated in Acandi, this hotel is close to Capurgana Church and El Cielo Waterfall. Area attractions also include Isla Terron de Azucar. 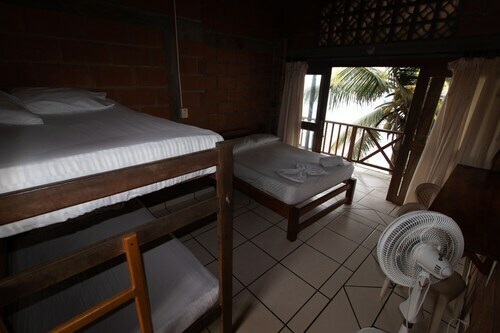 This Acandi bed & breakfast is by the sea, set on the beach a short distance from Capurgana Church and El Cielo Waterfall. Area attractions also include Isla Terron de Azucar. 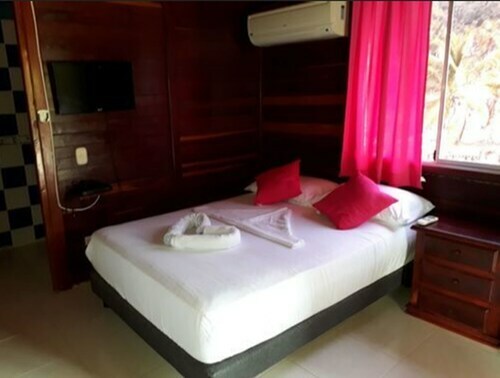 Situated in Acandi, this hotel is close to Capurgana Church and El Cielo Waterfall. Regional attractions also include Isla Terron de Azucar. 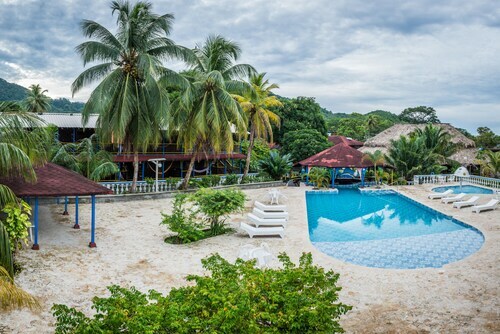 Situated near the beach in Acandi, this hotel is close to Capurgana Church and El Cielo Waterfall. Regional attractions also include Isla Terron de Azucar.